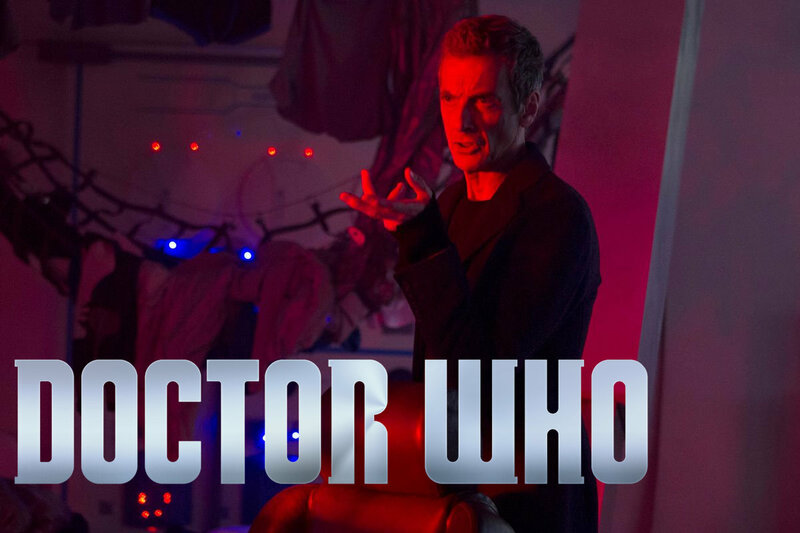 The fourth episode Peter Capaldi's first season gives us a glimpse into what the Doctor is up to when the companion is not there. What does he do to pass the time? What we get is not only the best episode of Series 8 thus far but quite possibly one of the best episodes of the new series overall. So get yourself some popcorn, sit back, relax and most importantly; Listen! Right from the opening scene we have one of the most unsettling moments I have seen in a while on the show. A monster that hides at all time and listens. The director makes damn sure that we as an audience believe that there is something in the TARDIS with the Doctor and Peter Capaldi's speech as he theorizes about the possible existence of such a creature is electrifying to watch. Everything from the writing to the cinematography, to the acting to the score by Murray Gold came together masterfully well and set the tone for the rest of the episode perfectly. If you had not guessed by now, this episode is pretty damn transcendent. It was easily my most anticipated episode of Series 8 overall because we knew so little about it, what I was not expecting was one of the more layered and honest insights into the Doctor's character that we have ever gotten on the show. Simply put, 'Listen' is a masterpiece. It is not often we get an episode were the writing and directing works together like lightning in a bottle (the description of lightning in a bottle is exactly what this episode is), they complement each other so beautifully and it is not one of those episodes were the directing clearly outshines the writing. They are both on equal level in terms of what they do to hit home the themes and morals of the story. 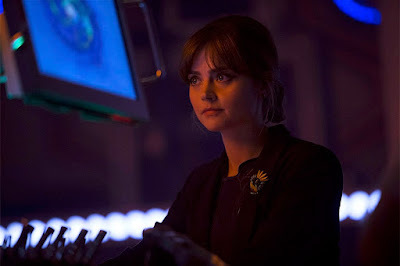 As Clara is telling young Danny (or as his name was back then; Rupert) that the toy soldier without a gun is so brave that he could keep the whole world safe - the camera is focused on the Doctor in the background and throughout the episode we get multiple lines of dialogue were the Doctor talks about this unseen monster that hides, the camera is very cleverly composited in a way that we could easily expect something/someone to walk into the shot behind him. Douglas Mackinnon (the director) also showcases some really good tension building even without the help of the script. He knows just what each scene needs and exactly when to cut to another shot. In fact this is also one of the best edited episodes I think I have ever seen in the show. Some of the cuts are really effective and help to heighten the tension. Does it really need to be said that Peter Capaldi is magnificent in this episode? His vocal deliveries, his mannerism, the body language... he strikes the perfect balance between all the different emotional states he has to go through while never letting go of the fact that behind all of the things he does - he is most definitely the Doctor. 'Listen' puts the character in a bit of a different place from where he usually is too which is very nice to see. Here we see the Doctor being truly desperate, he has to know if such a creature truly exists. He went out to find a powerful being and all he found was the frightened child within himself. This is Capaldi's best performance as the Doctor so far (and I am counting the whole of Series 8 here) and possibly even the best performance any actor has ever given as the Doctor (although it is quite difficult to top Colin Baker in 'Mindwarp', David Tennant in 'Human Nature'/'The Family of Blood' or Matt Smith in 'The Pandorica Opens'/'The Big Bang'). Jenna Coleman of course also gives a very good performance, in fact it might be her best thus far too as she as a ton of standout moments. Her line delivery at the end of the episode is just spot on, I do not think any other actress who has played the companion could have done a better job than her in that scene. I would talk more about it but seeing as I have more beyond her to talk about in that scene in question - I will save all of that for the very end of the review. We also see more of Samuel Anderson (Danny) here, in fact he is a major part of the episode as he plays both Danny and another character (who is clearly related) named Orson. I was a bit hesitant at first when I found out he would be playing two separate characters but for the actual episode - I think it works. You clearly see the resemblance between the two characters but he is a good enough of an actor that we can also easily tell them apart. There was never a moment were I went "Oh right, that is not Danny". I said earlier that the screenplay was one of the most layered ones I have seen in the show and I completely stand by that. I love whenever an episode actually seems to have themes going on and deliver morals for the audience while also opening up things for discussion. 'Listen' very clearly has themes of fear and desperation and everything in the episode reflects that. By the end of the episode, did the monster really exist or was it just our minds playing a trick on us? The answer is; it does not matter because that is not what the episode is about. A lot of times with 'Doctor Who', the audience seems to be under the impression that the logic behind everything is the most important part. Now yes there needs to be some form of logic behind what is happening - but things like "What was under the blanket in Rupert's room?" does not matter because of the way it was presented. Like I said, this is an episode about fear and desperation and in order to hit the themes and morals home there needs to be stuff left open to the imagination. The Doctor tells Orson that the dark was empty so there should not be any reasons to be afraid of it and he simply responds that they are not empty - this is how most of us feel whenever we are for example walking outside at night and looking into the dark forest. There really should not be a reason for us to be scared of it but we still feel a bit uneasy about it. The fear inside of us manifests itself and makes us believe we are seeing things when we really are not. If the episode had shown us what was under the blanket then it would lessen the morals the episode was going for significantly. We also had Clara and Danny going on their first date - which is another type of fear because clearly they were both very nervous and as it turns out it really did not end well. We also have young Danny (whose name was Rupert at the time) who had a bad nightmare, we have the young Doctor being afraid of joining the army etc... everything and everyone in this episode complements the themes of it and when you have a story that has such a big heart behind it like this - the logic behind some of the things does not matter as much and even then, you could still explain them. It is just that the episode wisely chose not to. Now you are left to choose whether or not this is a ghost story or just an insight into the mind's typical way of fooling you when you are scared and the real kicker is - either way you see it, it is brilliant. Now I said earlier that I would talk about the ending so here we go; some people did not like this ending with the young Doctor - I however found it to be the best part of the whole episode. Again, superbly directed, masterfully acted, smartly written and the music by Murray Gold is the best score of the entire season. Steven Moffat is known for writing some of the best speeches the show has ever had and this is no exception, in fact going by what it means and tells us - this could very well be the best and Jenna Coleman just runs with it. This ending is more than necessary in order to make the themes work as well as they do. Now again, the logic of it. How did they travel to Gallifrey? Well if you are asking that question then you clearly have not paid enough attention because if you know anything about Gallifrey you would know that (to quote Susan Foreman) "at night the sky is a burned orange." - and the sky is clearly not orange here. Also seeing as this is the same barn as the one we say in 'The Day of the Doctor' it would not really make sense for the Doctor to blow up Gallifrey - while standing on Gallifrey. The moment herself said the consequence of what he was about to do was that he would live after having done it. Also if it truly was Gallifrey - the Doctor specifically said earlier in the episode that he had turned off the safeguard so they could go to the end of the universe. This is also not the first time the Doctor has turned off the safeguard as he did it in 'Utopia' back in Series 3 as well. Overall while there are definitely more things I could say about it - I really think I explained my views on it well enough. This is one of the best screenplays the new series has ever had, using themes of fear and desperation to essentially interrogate the Doctor in a way that we have never seen before while also leaving the children watching it with a very heartfelt message that I would love to see more of in the show. Was there a monster or was it all in their heads? The answer is; it does not matter because that is not what the episode is about. The directing is impeccable, Douglas Mackinnon knocked it out of the park here and I really hoped he would return for Series 9 but sadly he is not listen under any of the upcoming episodes. All the actors are brilliant and the Murray Gold once again delivers some fantastic scores (please never leave the show Mr.Gold). Simply put, 'Listen' left me speechless and shows that even though I complain about Moffat from time to time - he is still the best writer the new series has.